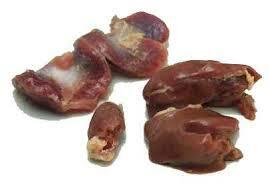 Choose from Chicken liver, gizzards, necks, or hearts (all approx. 1-1.5 lb packages. Also chicken feet or heads (10/bag). Our chickens move across chemical free pasture where they forage in the sun on a rich salad bar of local grasses, clover, & flowers while being supplemented with feed that is tested & guaranteed to have No-GMO’s, No Herbicides, and No Pesticides. 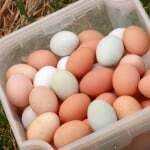 The result is flavorful meat & eggs free from antibioitics and growth hormones. All meat will be frozen unless noted differently. Note that listed price is the price per pound. Weight will vary – final price will be the weight times price per pound. Be the first to review “Chicken Necks, Feet, Giblets, Heads, etc $/lb –” Click here to cancel reply.